With some of the summer’s biggest tournaments behind us, things slow down this weekend. But not too much. Blessed with an SC2 tournament and another esports World Cup, as well as a tone of fighting game tournaments, there’s still plenty to watch. The Intel Extreme Masters Season XII Shanghai comes to a head this weekend after a long group stage. The remaining players will face-off in the semifinals tonight starting at 10:00PM EDT with TY vs. herO. Then Rogue and ByuN play at 11:30PM EDT. The grand finals will then take place at 1:00AM EDT. The matches will be available to stream live right here. The Gfinity Elite Series continues this weekend with matches today featuring Method vs. EnVyUs Academy at1:30PM EDT and Team Infused vs. Epsilon Esports at 4:30PM EDT. The top four teams in the group will make it into the play-offs of the $100,000 event in mid-August. The Rocket League World Cup got underway late this week with sixteen teams split across four groups battling for the title of world champion. Denmark, USA, France, and the Netherlands are currently leading their respective groups, with play to resume today at 4:00PM EDT and then again on Sunday at the same time. It’s on to week eight of the summer split with matches beginning in Europe when Ninjas in Pyjamas take on ROCCAT at 11:00AM EDT, followed by Unicorns of Love vs. Mysterious Monkeys at 2:00PM EDT. FlyQuest kicks things off against Team Solo Mid at 3:00PM EDT. When games resume on Sunday at the same time, Phoenix1 will look to start digging themselves out of last place with an unlikely win against Counter Logic Gaming. Defend The North will feature a number of different fighting games this week, but SFV is definitely one of the headliners, with players like Punk, Ricki Ortiz, and K-Brad. A full schedule for the event, including tournaments across Injustice 2, Blazblue, Guilty Gear Xrd, and other games is available here. SFV pools, meanwhile, resume today at 12:00PM EDT, with top 8 scheduled for 9:00PM EDT. Matches will be streamed here. Abuget Cup 2017 is also taking place this weekend in Jakarta. In addition to featuring SFV, the tournament is also a stop on the Tekken World Tour. Part of Jakarta Games Week, you can find a full schedule for the event here, with top 8 for Tekken starting at 4:00AM EDT Sunday morning followed by SFV. The Abuget Cup will be streaming here. Get On My Level 2017 is not to be missed for Smash fans, featuring tournaments across every game (minus Project M). 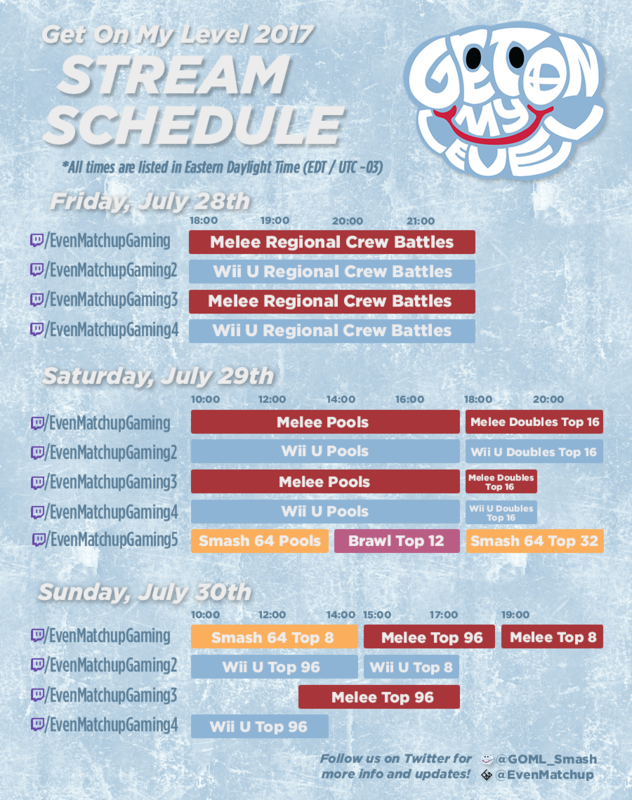 All Smash pools kicked-off today at 10:00AM EDT, while top 8 for Wii U starts Sunday at 4:00PM EDT followed by Melee top 8 at 7:00PM EDT. You can find a guide to all the tournament’s streams here, with most of the big matches streaming here. Hearthstone’s Thailand Major is a small prize pool tournament that nevertheless has plenty of talent. 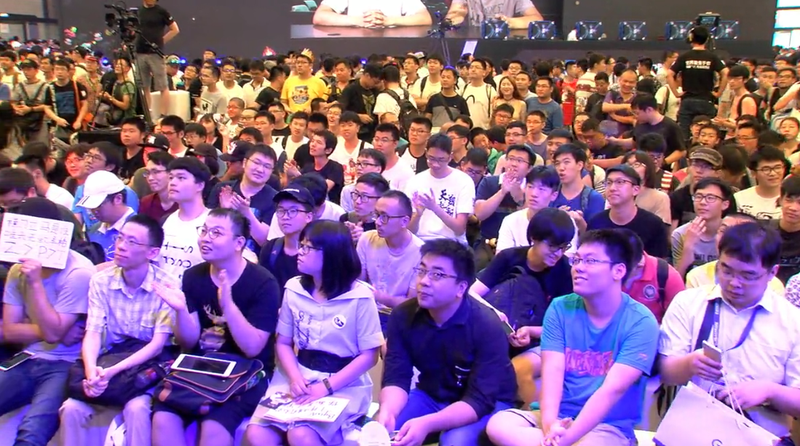 The second day of play began this morning at 11:00AM EDT, with matches resuming Sunday at the same time and going straight into the semifinals and finals. The Call of Duty Pro League Stage 2 play-offs are in full swing this weekend. You can find a complete schedule here, with Faze Clan vs. Splyce kicking things off at 1:00PM EDT and matches continuing into the evening.